Can you believe that 2016 is already coming to an end? It’s been a crazy year for sure, but it’s also been a good one for the real estate market here in Orlando. A look at the housing market trends in Orlando over this last year show that it was certainly a seller’s market– thanks to favorable interest rates and rising median home prices. That being said, it’s now time to look to the future. Will it still be a favorable environment for someone looking to sell their Orlando home? Should you really consider selling your home in 2017? Yes you should and here’s why! If you take a quick look at Realtor.com’s latest Home Shopper Survey, something should immediately stand out to you. There data suggests that first-time buyers will account for more than 50% of the buying potential in the housing market next year. If you’ve been thinking about selling your first home, this should be a really intriguing statistic! The median sales price for homes in Orlando have been on the rise for more than 60 consecutive months! That is very impressive and a strong indicator of how healthy our housing market is. It has been a seller’s market, but eventually home prices will begin to level out. Real estate indicators suggest that we’re in for another good year for Orlando’s housing market. If you have been waiting to sell, then next year could be the perfect opportunity to list your home for that “dream” listing price. Interest rates have been historically low over the last year, but will this continue in 2017? Most experts theorize that there will be a slight increase over the next year. This would have an impact on home affordability rates in Orlando. Remember that mortgage rates are based on nationwide interest rates– they’ve been low over the last year. Increases may persuade more potential buyers off the fence sooner rather later. If you are considering listing your home on the market, keep an eye on interest rates next year. An increase will likely generate an initial spike in the housing market as indecisive homebuyers seek to lock in a more affordable mortgage rate. Sell Your Home More Quickly: In a seller’s market, you can bring in more bids by listing your home at or just below market value. Get them competing and you can get a good offer quickly! You’re in More Control: Additionally, getting multiple bids in a seller’s market means that you don’t have to accommodate inconvenient demands from potential buyers. Does a buyer want you to pay for a full-scale inspection or asking to purchase on credit? You now have the option to throw out lousy offers in favor of real quality prospects. Next spring will certainly be a good time to sell your home. If you’ve been sitting on the fence, we hope this will give you the confidence to make the right decision. If this describes you, we can help. As cash home buyers, we’ll make a great offer for your home as-is! 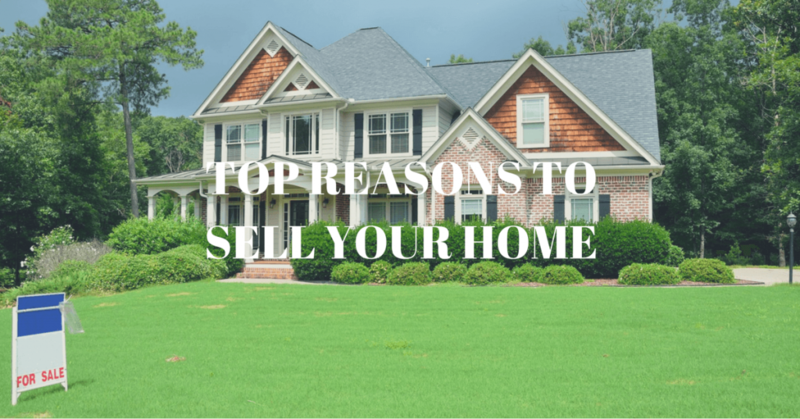 That means you don’t have to worry about any of the usual hassles involved in selling a home or hiring a realtor. You also don’t need to worry about paying for ANY home renovations. If you’d like to sell your home for cash right away, all you need to do is fill out the form on the righthand side above! We’ll contact you to set up an inspection so we can get you the best offer.